I'm now a radio presenter! Well the past month have been rather exciting. 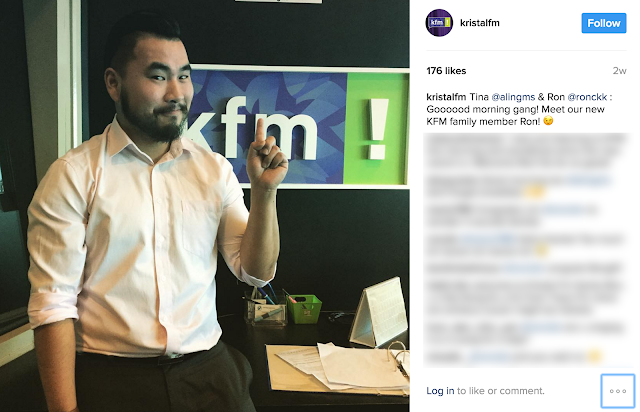 I've made the cut and somehow, managed to get a part time role being a radio dj / radio presenter on KRISTALfm. And to be honest, I'm still pinching myself whenever I'm scheduled to go on air. No doubt, there is a tremendous amount of pressure to know there's hundreds if not, thousands of people listening to you when you're on air where every single word you say is under scrutiny. But so far, I think it's been a great start of a journey in a completely different world for me. A lot of people who found out about my new side career have been really supportive - which I am extremely thankful for. But of course, there's always a pique of curiosity that sets in where I'll be asked..."so what made you apply for the job?"